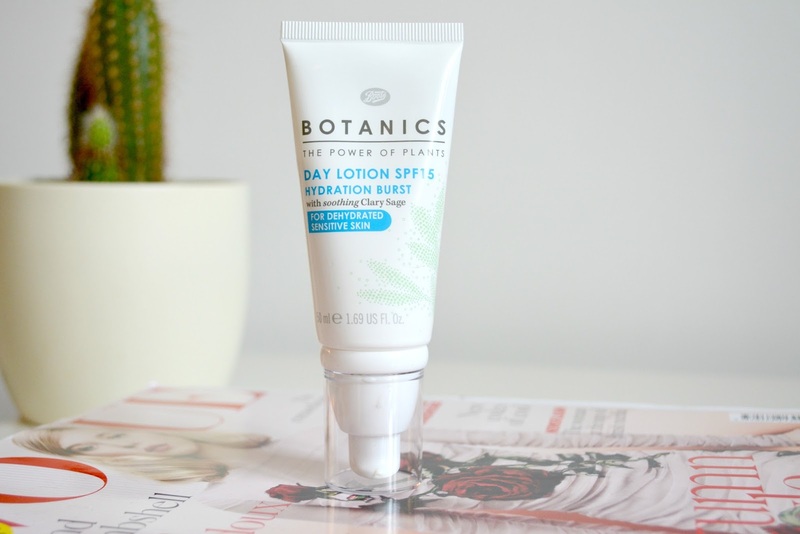 I do not know how to explain this obsession I have with Botanics Skincare at the moment but I really love them. 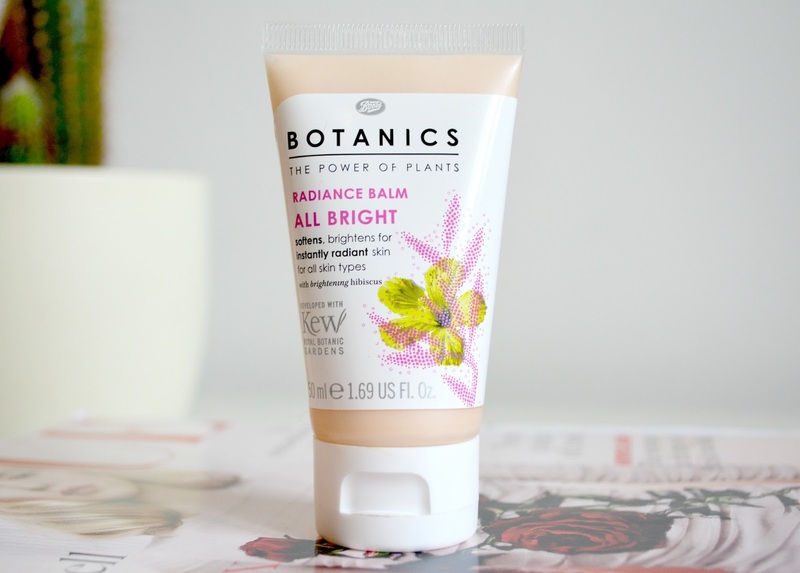 It might be Lily Pebbles's fault who in one of her beauty videos (find it here), she was praising the Botanics Radiance Balm All Bright range and as I personally trust her opinion, I thought that at such a low price: £3.99, it would have been wrong not to try it. So I did and it won my heart! I also ended up getting on the same day the Day Lotion Hydrating Burst because...why not! I also got the Hydrating Day Cream & Gentle Cleansing from the All Bright range as birthday gifts (I put them on my birthday wish list?well...of course !). 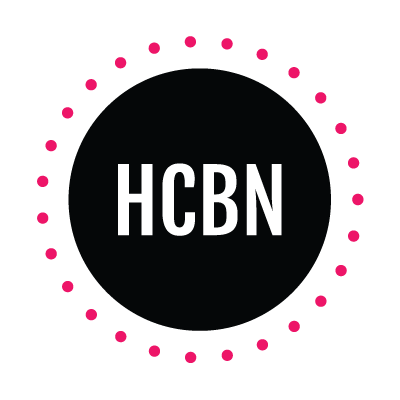 So why I am so into this brand right now? 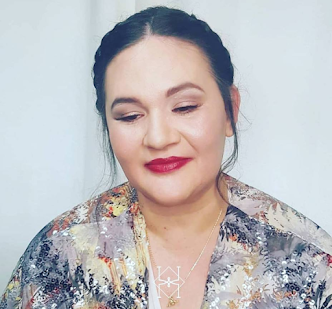 For few things really, the first one is the use of natural products between 80% to 100%, they are paraben free, non-animal tested and made in the UK. If you add all those ingredients together you get a product that is cost effective, works and uses little resources and for me, this is definitely two thumbs up. Don't take me wrong not everything I buy, is eco-friendly, but I am making more and more effort because I do believe it is the way forward. 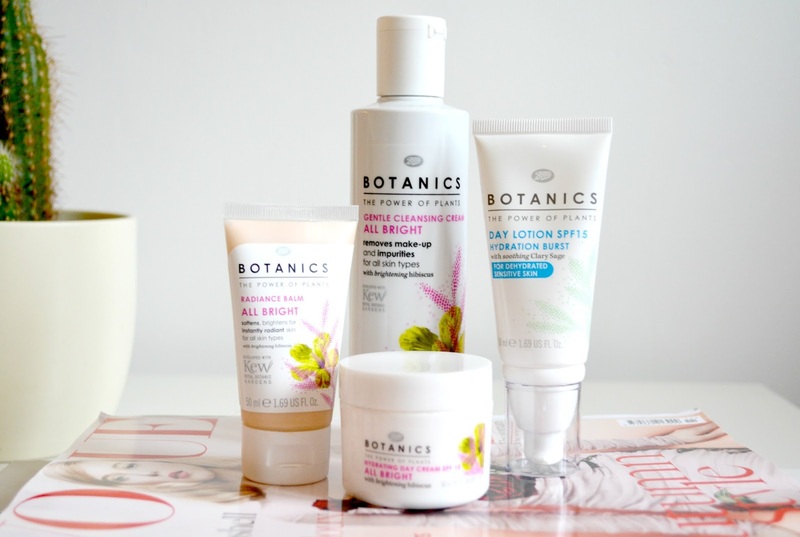 When do I use these 4 Botanics products? We shall start with my favorite of the 4 which is the Hydrating Day Cream SPF15. I have been using religiously this cream for the past 2 months every morning, it is fresh, quite lotiony to the touch but still gives me all the hydration needed for the day and it hydrates as much as high-end products! My second fave is the Gentle Cleansing Cream. This one as been fighting the center stage on my bathroom shelves with my beloved Liz Earle Cream Cleansing! Big statement I know! But don't take me wrong the Botanics one is a bit different than the Liz Earle and by that I mean the Botanics version is more of a lotion than the richer, thicker Liz Earle but it is always a pleasure to smother my face in it, massage it in and have the satisfaction to remove it with a muslin cloth and see all my makeup gone! Oh, and it has a lovely Hibiscus scent too so love all around. The Radiance Balm is one of my little favorites too, also with hibiscus. I have been using it toward the end of the week when I am more tired and my skin is in need of a little boost of radiance. It's been the companion of my Hydrating Day Cream. Perfect duo I tell you. And last but not least it's the Day Lotion Hydration burst. I have to admit this one is more for weekend use, as I often do not wear makeup during weekends, you know to give my skin a bit of a break, unless I am out and about but if I know it's going to be a snuggly weekend at home with the boy in my pyjamas (no shame in there!) then this day lotion and a lip balm is all I need and I am ready for my lounging, lazy, blogging (of course), comfort food eating day. Perfect hydration too, zero effort! that's why we love during weekends right? 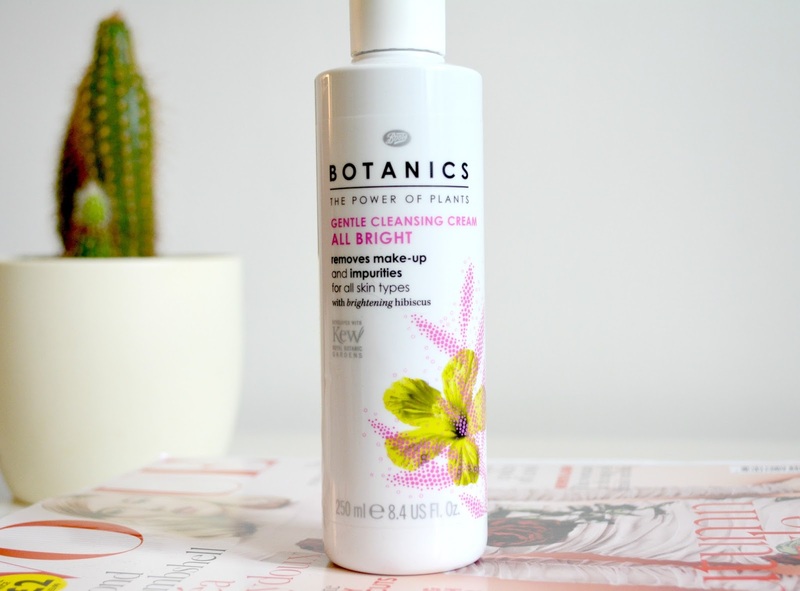 Here you have my little Botanics review. Will I try others from Botanics? Hell yeah I will! I am not stopping there especially when Boots are cleverly putting their own beauty range on offer constantly, so if you haven't tried Botanics and would love to, then just wait for the 1/3 off or similar offers and you'll get yourself an even, inexpensive, lovely skin care brand companion. 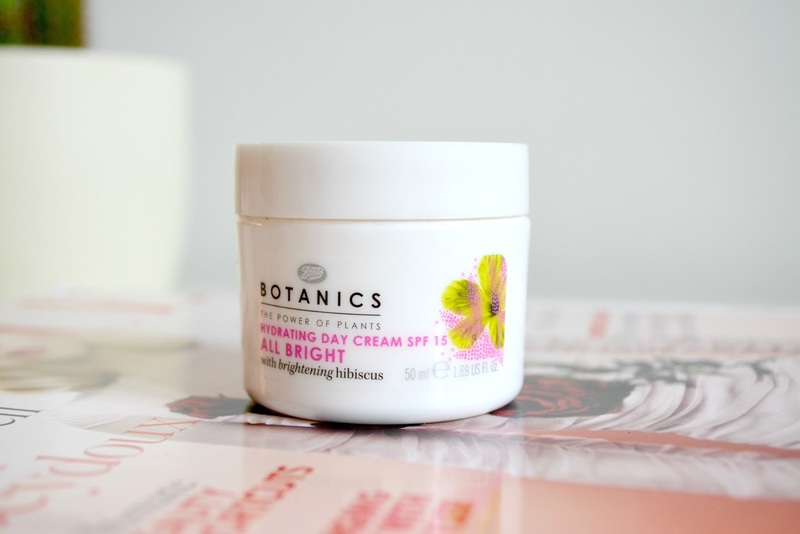 A little disclaimer: I swear this is not a sponsor I just really really really love Botanics. *please place eye heart emoji there*.